It’s been a colourful few weeks at It’s a Stitch Up as we’ve been beavering away building up the shade range for our three yarns. But obviously it’s our merino sock yarn, Favourite Sock, that has had the most attention. 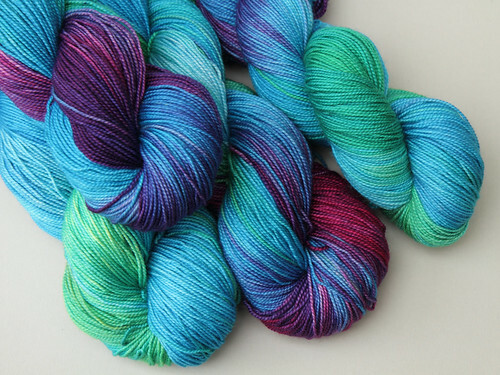 I have been itching to share this beauty, ‘Refraction‘, which was extra special because it was the first edition for our first ever yarn club. Our yarn club subscribers should all have received their parcels by now so it’s safe to share without ruining the surprise. We’re taking subscriptions for the next sock club, starting in March, right now. (UK sock club | ). This time around we’re not offering subscriptions for outside of Europe because the postage costs are so high. I’m particularly sad that our US yarn lovers are excluded and I’m working on an alternative. However we can promise that yarn club editions will always be brand new shades that we’ll go the extra mile to make special. The next shade is also pretty special to me as it was created for the winner of our ‘name a shade’ competition (part of our 2015 Advent Calendar). 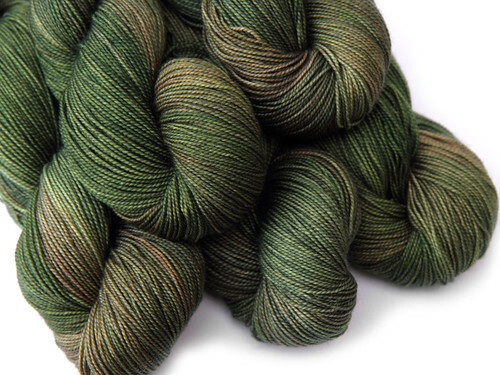 She asked for a dark olive colour, to be called ‘Mossa’ – the Swedish word for moss. Muted colours can be surprisingly difficult to achieve and Mossa was created by dipping the yarn many times in different mixtures of green and brown. I love the subtle tonal variation. 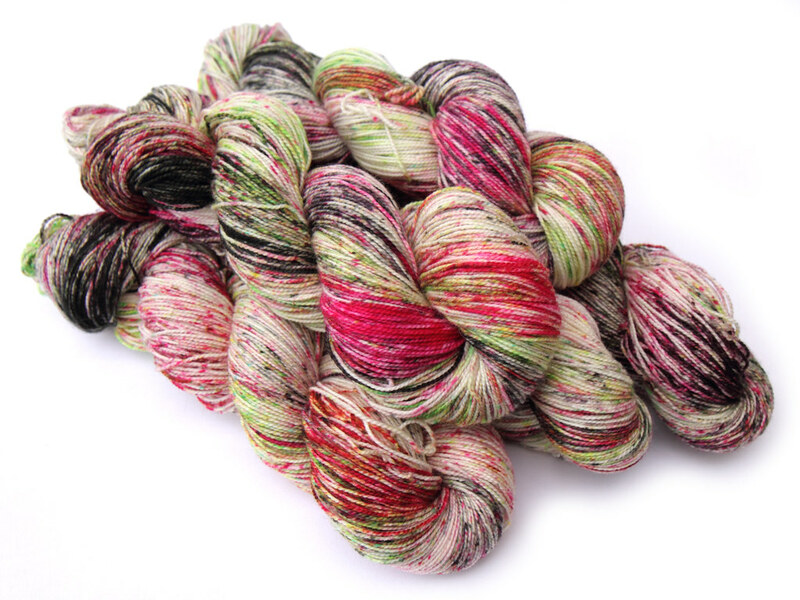 ‘Rotten apple‘ on the other hand, with speckle-dyed with pink, neon green and black, is anything but subtle! Speckled yarns knit up without pooling and look stunning combined with solid colours, as these beautiful projects demonstrate. If you’re thinking that speckled yarns wouldn’t work for everyday wear, take a look at these gorgeous garments. Expect more speckled shades to hit your stashes soon! Psst! You can now create your own speckle-dyed yarn with our dyeing starter kits.